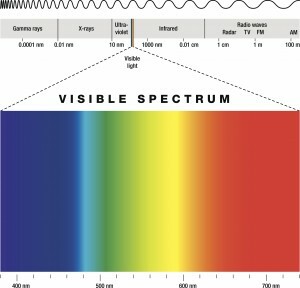 Ok – So, we now understand the many different electromagnetic rays that are emitted by the sun, and grasp that as skin therapists the rays that we need to be most concerned with are ultraviolet (UV), visible and infrared (IR) rays. We also know that to protect ourselves from UV radiation we need to be diligent about wearing (and prescribing) sunscreen, big hats, giant sunglasses and protective clothing, but what do we really know about the forms of light that are beneficial to the skin? 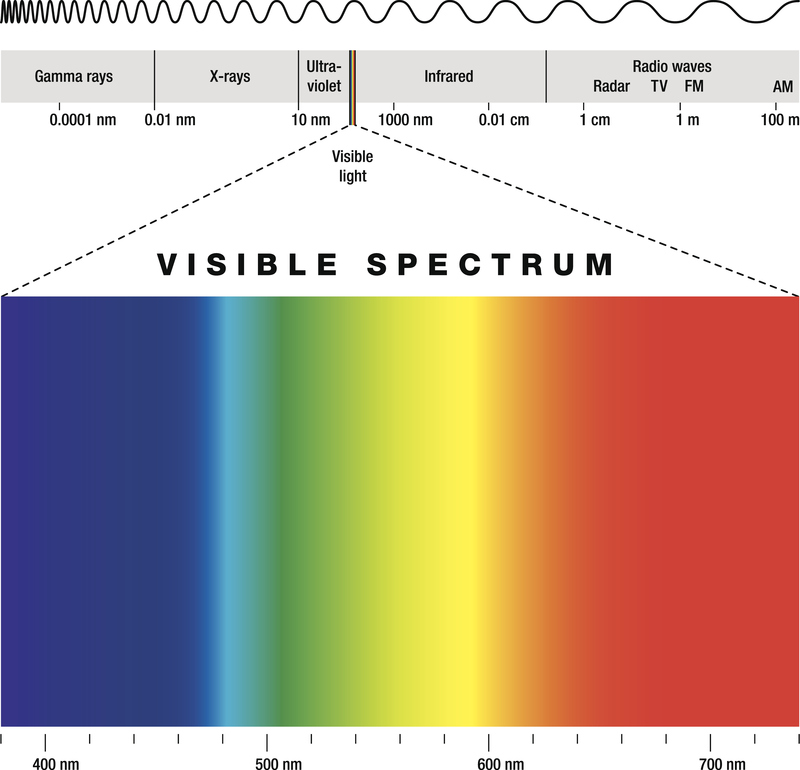 I’m going to whip out my nerds for a bit, so bear with me…..
Just above the visible spectrum you will find near infrared (NIR) at between about 700 – 1400 nm, where light has the maximum depth of penetration into tissue. 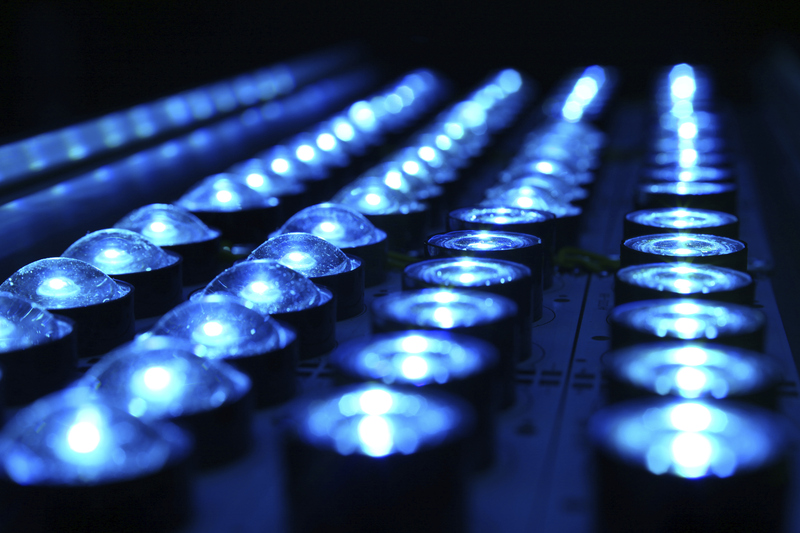 Infrared rays are invisible and we feel them as heat. A great way to imagine how these infrared rays affect us is when you’re outside on a sunny day think about how you feel cooler when a cloud moves across the sun. Obviously the ambient temperature hasn’t lowered in such a short amount of time (seconds), but our exposure to infrared has been temporarily interrupted by the cloud, and we perceive this interruption as a reduction in temperature. It is interesting to note that as you move into the upper reaches of the infrared range (called far infrared, FIR or IR-B and IR-C) the level of penetration into the dermis is less than for the infrared that is just above the visible red (Near Infrared, NIR or IR-A). It stands to reason that Near Infrared would have a stronger healing response than Far Infrared, just based on their depth of penetration. We’ll talk about that in our next blog post. Well, SO WHAT?!?!? 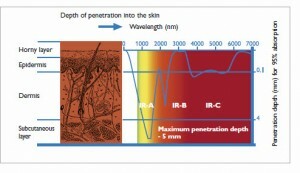 There are different wavelengths of light, and they have different effects on the skin – some are good and some are bad. How can this help me in the treatment room? We’ll touch on that in our next post!